Cr Julia Leu was elected Mayor to the new Douglas Shire Council in November 2013, and for a second term in March 2016, following 6 years as an independent Councillor with Cairns Regional Council. Julia holds a Masters in Business Administration, a Bachelor of Arts and Graduate Diplomas in Education and Communication. Julia is a Director of Tourism Port Douglas Daintree, an Executive Member of the Australian Coastal Councils Association and the North Queensland Local Government Association. Julia was recently re-appointed to the Library Board of Queensland and is also Chair of the Public Libraries Advisory Group. Julia has a wide range of experiences, including running her own business and has been a secondary teacher, lecturer and senior commonwealth employee in Indigenous, health, housing and community services. Julia is passionate about ensuring the financial, environmental, cultural and social sustainability of our region. Julia has 2 adult sons and lives with her husband on an organic fruit farm, which they established 27 years ago in Lower Daintree, Far North Queensland. Bridgette has been an active volunteer for Sea Shepherd since 2009. Starting out shaking the tin on Brunswick Street, Melbourne and running stalls at local events. She moved to Cairns in 2015 and became the Sea Shepherd Chapter Coordinator for the small but active Cairns Chapter in 2015. She joined the crew of the Steve Irwin later that year to be their in-port cook for the busy crew living onboard preparing the vessel for campaign. After several stints in port she crewed in the Galley for Operation Jeedara 1 and Operation Nemesis in 2017 and Operation Reef Defence as a Quartermaster in 2018. When not volunteering for Sea Shepherd Bridgette works in the Scuba Diving Industry in Cairns. Responsible for the leadership of Reef Restoration Foundation. Stewart has extensive business experience establishing and leading for profit and not for profit businesses. 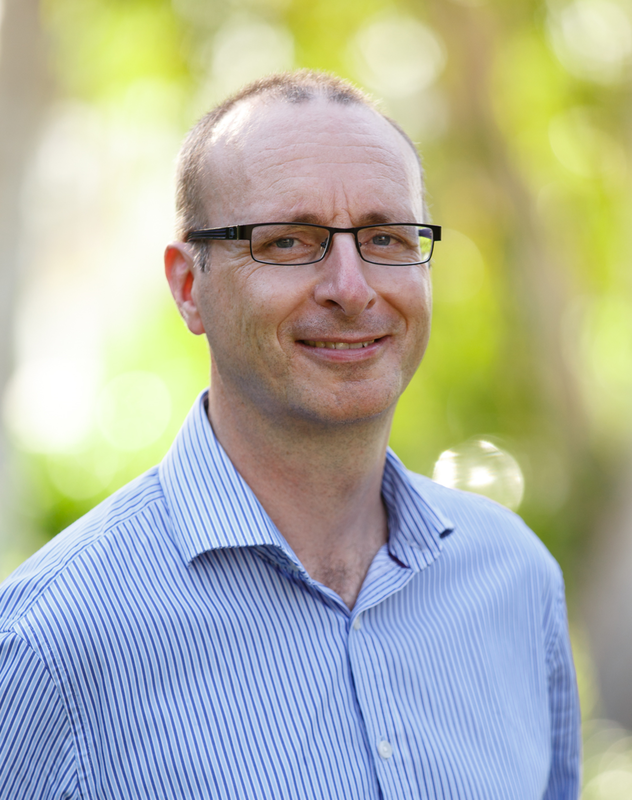 He is also an experienced sustainable economic development practitioner, including producing the Douglas Shire Economic Development Strategy and has over fifteen years program and project management experience planning and delivering complex infrastructure projects in Northern Australia, South East Asia and the UK. Peta Slack-Smith is AWI’s General Manager for Corporate Affairs & International Market Access. As part of the global executive team for Australian Wool Innovation (AWI), and its subsidiary - The Woolmark Company (TWC) - Peta’s current role covers the length of the Australian wool supply chain: from woolgrower consultation, government relations, issues & crisis management, statutory reporting, Corporate Social Responsibility (CSR) and trade and market access for AWI. Peta has built a depth of experience in managing challenging and sensitive issues, including highly charged debates around environment, pesticide use, GMOs, food safety, and animal welfare. She started with AWI 10 years ago specifically working supply chain engagement relating to mulesing and the PeTA campaigns; her work in this area continues today where she works closely and confidentially, with the CSR and sourcing leads in major international fashion and apparel businesses providing practical guidance as required. Over the past 20 odd years she has worked in not for profits, ASX listed corporates, industry associations, state and federal government departments and as chief of staff to a federal minister. Peta is the recipient of two prestigious awards including a Churchill Fellowship and the Fairfax Fellowship in Ethical Leadership. She is a graduate of the Australian Institute of Company Directors, Melbourne University’s Mt Eliza Business School and Harvard Business School. Marina Chahboune (M. A. Sustainability in Fashion) is a known expert in the field of sustainable textile production, sustainable innovations and circular economy principles. With her special focus and expertise in denim and jeans production she has been working globally within all tiers of the supply chain, supervising projects for fibre and fabric development, eco-friendly garment finishings and the implementation of closed loop concepts. She founded her Sustainability Consultancy ´Beyond Fashion` in 2011 and for the past 5 years has been working as Senior Sustainability Manager for the global market leader brand in eco-fashion Hessnatur. Aiming to oppose inefficient linear resource flows within the textile industry, she is guiding fashion brands and garment manufacturer to make the transition from a ´take-make-dispose` economy towards ´closing the loop` of product lifecycles through greater recycling, upcycling, re-using and redesigning, as well as setting up roadmaps for circular business models. Sustainability consultant Jane Milburn is the author of Slow Clothing, a book about living lightly through the everyday practice of wearing and caring for clothes. Jane trained as an agricultural scientist and worked as a rural communicator before completing postgraduate study through the Australian Rural Leadership Foundation and establishing Textile Beat in 2013. Jane focuses on natural fibres and considers clothing in a permaculture context. She leads conversations about ethical, mindful and creative ways of dressing by sharing the Slow Clothing philosophy at talks and workshops to inspire a more sustainable clothing culture. More at textilebeat.com. Nicki is a sustainability engineer with 15 years of leading change projects as both a project manager and business manager. Reframing sustainability as a value proposition through integrated communications is her superpower. Nicki has project managed the delivery of the carbon accreditation programs for government, been leader of teams achieving best practice sustainability awards and developed and implemented new economic models for sustainability in Government Housing. Nicki is co-founder of Fibreshed Melbourne, a not for profit connecting local textile communities around slow fashion. Nicki works with local farms, mills and designers who collaborate for a better future. Chiara Spagnoli Gabardi, has been writing for Eluxe Magazine, since its launch, interviewing eco-advocates and covering news about ethical fashion, sustainable architecture, ecotourism and conscious living. Her involvement with sustainable development further intertwines with her work as film critic, journalist and visual artist. Chiara's Material Puns use wordplay to weld the title of her painting with waste materials that are upcycled on canvas. She has exhibited her artwork in Milan, Rome, Venice, London, Bologna, Palermo, Oxford, Paris, Manhattan and Kolkata. Chiara works for online, print, radio and television and has been a jury member and collaborator of several film festivals. Chiara's engagement with sustainability is also shared with the students who attend her course in Phenomenology of Contemporary Arts at IED University in Milan. Natalie Shehata is an eco-fashion stylist based in Sydney, Australia with a styling career spanning 10 years. She is also the founder and editor of tommie magazine, ‘the destination for creative women with a conscience’ - a new online platform that offers a multi-disciplinary approach to thoughtful and intentional style, conversations & story-telling, slow and mindful living and ethical and sustainable fashion. Over at tommie we share the stories and conversations of women who ‘want to do better, by being better’. Through her work, Natalie focuses on the environmental effects of fashion and clothing, with a specific lens on how to embrace second hand style, by minimising waste. She is a strong advocate for preloved clothing, thrift shopping and the history, stories and style behind vintage garments. As well as addressing and creating awareness behind the environmental impacts of our clothes, Natalie is also investigating and dissecting the social, cultural and political side of fashion - with a particular interest on diversity within the fashion industry. Fashion has the power to be a force for good, an agent for change, so when we look at the future of fashion we need to start thinking about how we can use it as a tool to communicate positive messages like inclusion, accessibility, representation and diversity. To see diversity on our runways, in our editorials, in campaigns – we need to reassess the foundations on which fashion is built and look to redeveloping internal fashion business systems and models. A diverse range of voices within fashion business is how we will see diversity externally. We can no longer have groups of people completely segregated from decision making, if we are to see more inclusion around race, ethnicity, multi-culturalism, gender, age, sexuality, ableism and body diversity. We need to fight for what should already be normalised, not what is being tokenised, and this is why we need more diverse voices, talent and creatives across the supply change like, editors, models, stylists, casting agents, designers, make-up artists, photographers, hairs stylists to shake up the current fashion system and show us what our diverse world is made up of. Sylvia Calvo, born in Barcelona, studied English Philology at the University of Barcelona and obtained her MBA at Keller Graduate School of Management of Chicago, USA, where she lived for about 15 years. There she worked for the airline industry, but moved back to Barcelona in 2002 to work in her family maritime transportation business. She always wanted to study fashion design, though the circumstances in life made it not possible at that time. After attending a conference about Eco-Fashion in 2012, the concept she had about the fashion and textile industry changed completely. She started to investigate, to read and to learn about sustainable fashion and the alternatives available to have a more positive social, environmental and economic impact. In 2015, she created the brand "Sylvia Calvo BCN", working mainly with original used coffee bags to transform them in garments and complements. In December 2013, together with five colleagues she co-funded the non-profit Association "Moda Sostenible Barcelona" (MSBCN), the first association of this kind, in order to promote the benefits of sustainable fashion, its creation, production and sale, and to bring it closer to consumers. Sustainable Fashion is an alternative to Fast Fashion, and can go hand in hand with stylish designs and good values. SALMON STORY - One woman’s journey to connect with her environment, and help maintain the return of the salmon to her neighbourhood streams in Coquitlam, British Columbia, one of the fastest growing cities in Western Canada. Robbin Whachell is the president of the Hoy-Scott Watershed Society, a not-for-profit, volunteer-run environmental stewardship group, that conducts a salmon enhancement program in partnership with the City of Coquitlam, and the Department of Fisheries and Oceans Canada. She and her team are actively engaged in enhancing public awareness on the importance of watershed preservation, not only for the health of the community, but for the health of the salmon that live in, leave and return to the small creeks weaving between and under the city streets. Robbin also works with the Rivershed Society of B.C. (RSBC), a non-profit dedicated to improving the health of the 854 mile long Fraser River which is considered one of the world's greatest salmon resources. RSBC delivers public education programs, community initiatives, and builds stewardship along the Fraser River Basin. Robbin’s day job is working in communications and marketing with the City of Coquitlam. She is co-founder of The Bahamas Weekly, and is Eco Fashion Week Australia’s media liaison.